With a win Sunday night in San Jose, the Vegas Golden Knights advanced to the Western Conference Finals and are now just one series removed from reaching the Stanley Cup Finals in their inaugural season. It’s a reality that few saw coming. Before the NHL season began, oddsmakers offered extremely long futures on Vegas winning the Stanley Cup in their debut campaign. 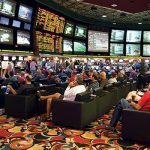 “I figured the tickets were just souvenirs,” MGM sportsbook vice president Jay Rood told ESPN in January. Las Vegas casinos printed slips at odds as long as 500/1. Fast-forward to this week where the Knights will be one of just four remaining teams in the hunt to win the Stanley Cup, and sportsbooks stand to lose considerable money should the once unthinkable come true. “It’s probably the most liability of any team, of any sport, during my 10 years here,” Rood further explained. The Golden Knights shut out the San Jose Sharks 3-0 on Sunday night to win the series 4-2. They’ll now meet the winner of the Nashville Predators and Winnipeg Jets series. The Jets are up 3-2, and play at home tonight at 9:30 pm ET. Winnipeg is the Las Vegas favorite at -150. 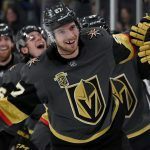 The Golden Knights have already solidified one of the four conference final positions, as have the Tampa Bay Lightning, the No. 1 seed in the East who took care of the Boston Bruins 4-1 in the second round. Tampa Bay will play the winner of the Washington Capitals and Pittsburgh Penguins series. The Capitals lead 3-2, but are the underdogs tonight in Pittsburgh, with Las Vegas casinos listing the Pens at -190. The Lightning are the Stanley Cup favorites at the Westgate SuperBook, with the team currently at 9/5 to win. The Golden Knights and Jets are next at 7/2. The Capitals follow at 5/1, then it’s the Predators and Penguins playing the role of longshots at 10/1. Regardless of whether the Vegas Golden Knights go on to the Stanley Cup Finals and win their first title in as many tries, their inaugural season will unquestionably be considered an overwhelming success. 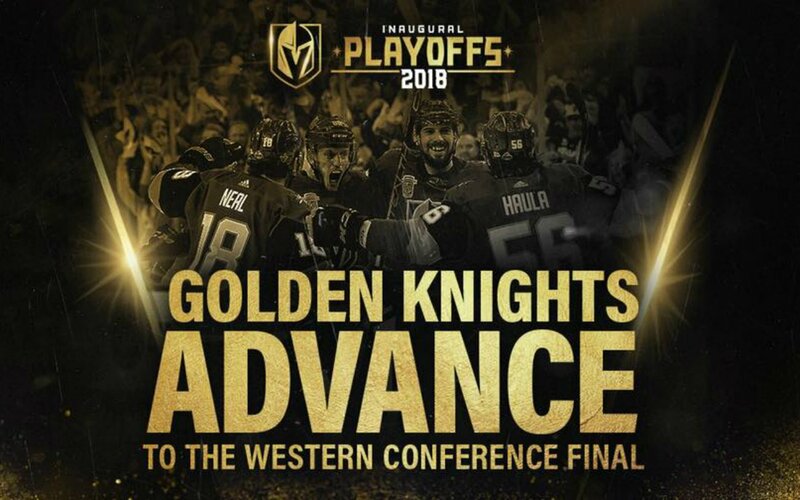 Las Vegas’ first professional major sports team in the Big Four (NFL, MLB, NBA, NHL), the Knights became the first NHL team to reach the postseason in their debut season in 38 years. The Knights have provided a flurry of activity on the NHL, historically the least-bet Big Four sport. Oddsmakers have celebrated the action, though the team’s strong play has cost casinos some cash. A Stanley Cup victory would cost then even more. 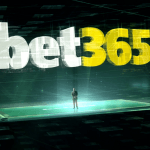 Even small futures placed on long 300/1 and 500/1 odds would net substantial payouts. At 300/1, just a small $10 wager returns the gambler $3,000. At 500/1, oddsmakers will pay $5,000 per $10 bet.